All of our designs are engineered using a state-of-the-art 3D CAD program as well as the latest in manufacturing processes to produce all of our our products. Our plugs, forms and components are tooled straight from the original 3D CAD data which ensures the highest quality reproduction. 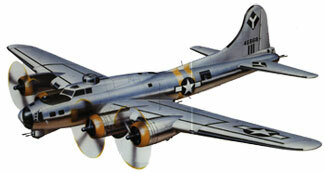 Our designs also include features in other model aircraft designs. All of our designs include built-in build tabs and interlocking parts that take the guess work out of positioning ribs and adding washout. We also include one piece fuselage bulkheads and interlocking parts that speed build time and reduce alignment errors, and it doesn't stop there. What separates WingSpan Models is attention to detail by including other scale features like functional gun turrets, scale bulkhead detail, compartment floors, and operational bomb bays capable of delivering a full complement of bombs just like the full size aircraft. All this goes into producing a far superior end product that takes your model to the next level of scale detail. Thank you again for visiting WingSpan Models. If you have a comment or question about any of our products or on how we can serve you better, please feel free to contact us.